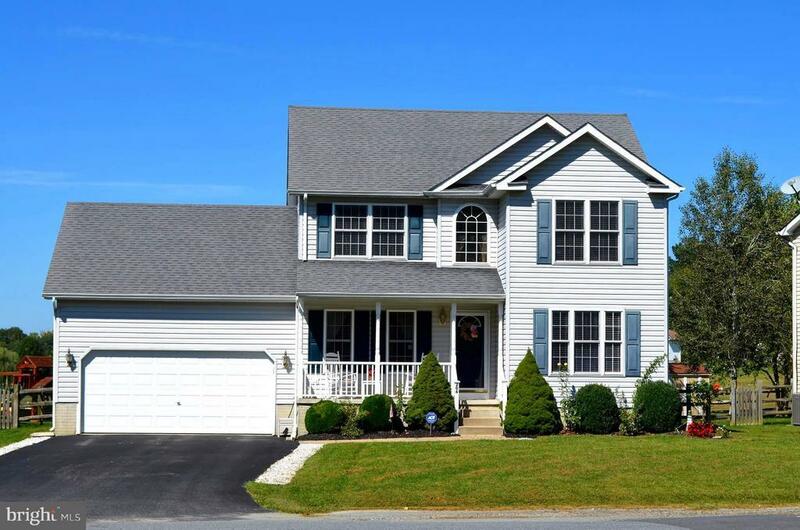 Colonial with 4 bdrms & 2.5 baths. Modern feel with Eat In Kitchen and Formal DR. Family Room with Gas FP that opens to back deck with fenced yard and community open space. Mstr bdrm w/full bath, dbl vanities, soaking tub & walk-in closet. Additional 2 bdrms on 2nd floor. Fully Finished Basement with a 4th bdrm or office. 2 car garage.